If ordering 1 lb. 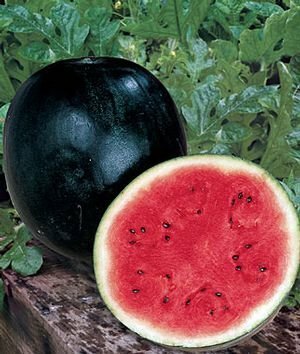 (or 500 seeds) or more of watermelon seed, click here. 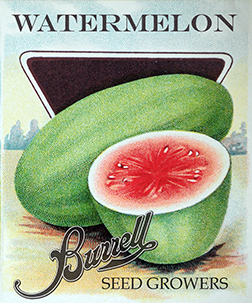 Another famed Rocky Ford crop, our watermelons have their own celebration. 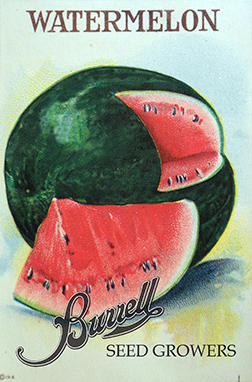 Watermelon Day has been enjoyed by thousands, perhaps millions, for over a century. The growing conditions here are perfect. Great soil, hot dry days, cool nights and good water for well timed irrigation. Crimson Sweet, All Sweet and Jubilee are extremely popular. 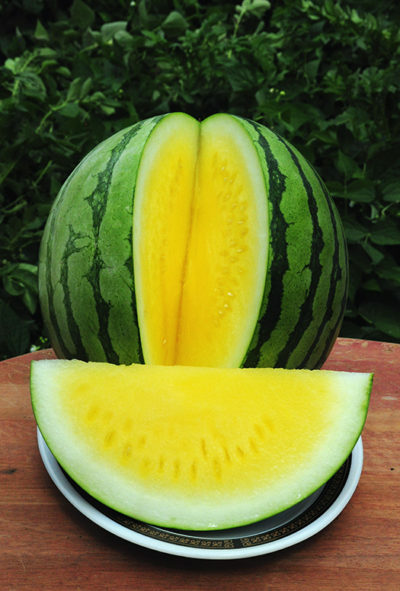 Desert King, known for drought tolerance and sweet juicy, yellow flesh, has a following of its’ own. 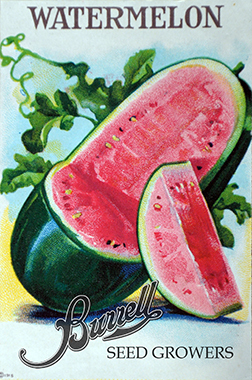 This year we will be adding new varieties from our seed crops, so keep checking back. 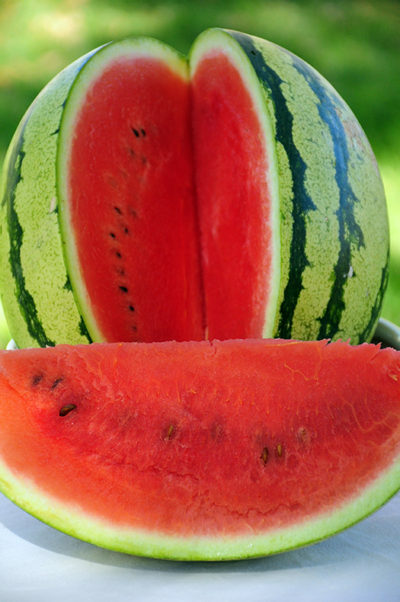 The only preparation required for a good watermelon is a sharp knife and possibly a sprinkle of salt. However, they do brighten up a fruit salad with color and flavor. Pureed pulp can be frozen for use in fruit smoothies throughout the winter months. 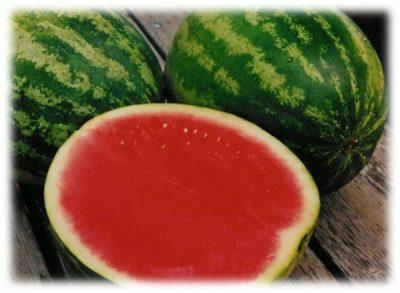 Watermelons need a long, warm season to mature, at least 80 to 90 days. They thrive in loamy, well drained, fertile soil. 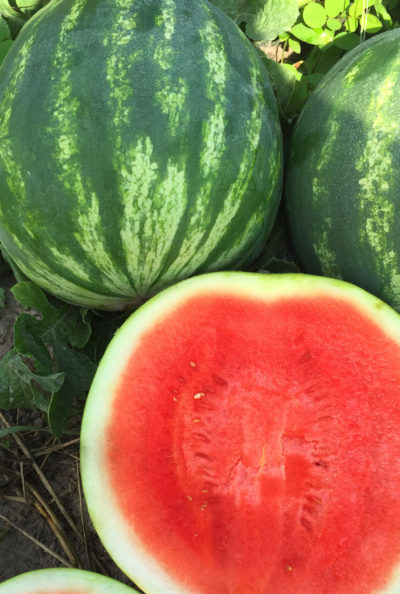 When soil temperatures reach 60º, sow our watermelon seeds, 1″ deep, in hills 2′ apart with 4′ to 6′ between rows. Plant 2 or 3 seeds to each hill and thin to one plant after the first set of true leaves develops. Keep soil evenly moist while germinating and sprouting. 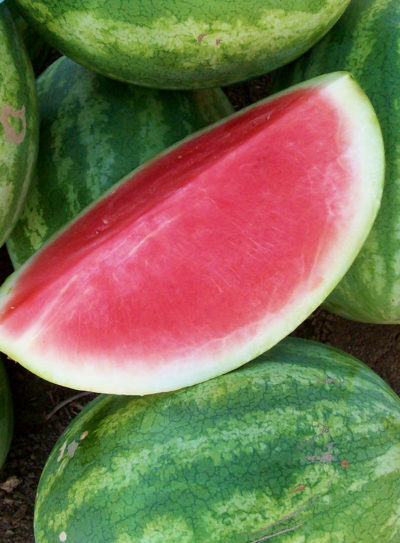 Once established watermelons require 1″ of water per week, although some farms reduce water to develop sugar closer to harvest. 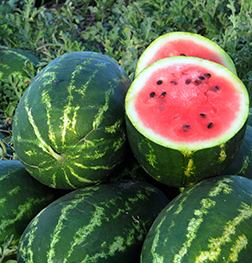 Water by hand or with drip irrigation as overhead sprinkling can cause powdery mildew. 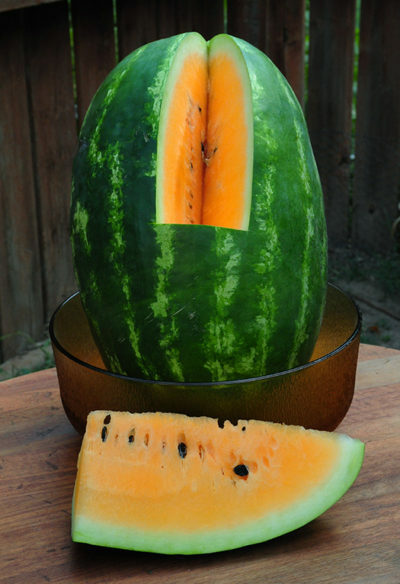 Do not press on melons to see if they are ripe. The tendril (curly cue) closest to the fruit on the vine will dry and turn brown when ripe. 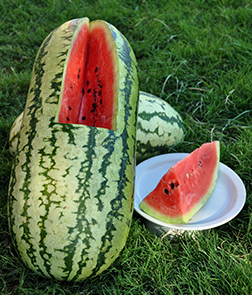 Harvest watermelon in the evening and load in the morning when cool. 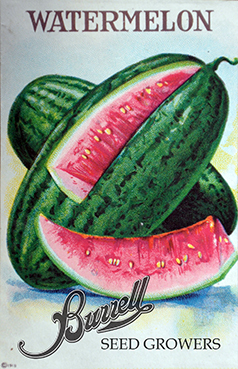 Good companion crops are corn, sunflowers, morning glory and okra. A bad companion crop is potatoes.